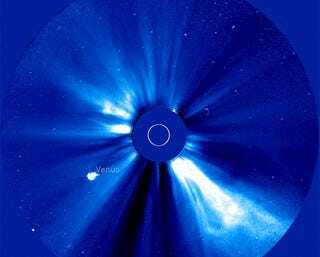 Many assumed it was dead, but NASA has published a new video showing comet ISON surviving its close encounter with our home star on November 28, 2013, getting launched by the Sun's gravity into a new lap around the solar system. It's cool too watch. See you soon, Silver Surfer! Here's another awesome time-lapse of the same encounter from opposite angle.